I have an awesome idea for a startup. Let’s call it LunaDoc. LunaDoc will be a website where you answer a series of algorithm-based questions about a health-related issue you’re dealing with, and then it will suggest to you a diagnosis. Sounds great, right? That’s probably why dozens of these exist already. But let’s go one step further. After diagnosing you, LunaDoc will generate a prescription and send it to your pharmacy of choice, after which you can pick it up without the hassle or expense of ever having to talk with an actual physician. If you’re half sane, you should have suddenly thought something along the lines of, “Whoa there, tiger.” Why is that? Because self-diagnosis, or educating someone enough to better understand their problem, is great. But self-treatment, or turning that new knowledge into a high-stakes action with potentially permanent consequences, without consulting a professional, can be absolutely nuts. Sidenote: As I’ve done many times before, I’m going to leverage this healthcare example into a metaphor for the startup law context. I truly believe there’s a lot that people in startup law can learn from the healthcare profession, so I’m going to milk this metaphor until the cows come home. For years entrepreneurs have been fortunate enough to have an incredible amount of accurate, well-articulated, and free knowledge about startup law issues on the web; some in the form of blog posts and some in the form of articles. I’m a huge fan of recommending online resources to clients as a way to educate themselves without being billed hundreds of dollars an hour for it. And it makes the time that I personally spend with them more efficient (and cost-effective) because we can get right down to business without having to go through basic stuff. Startup law blogs and articles are the legal equivalent of healthcare websites that help with self-diagnosis. Their role is simply educational, and can help a client (patient) better engage a professional in turning the diagnosis into a solution. While some doctors might complain about patients becoming “google doctors,” a more educated client base is uncontroversially a net positive. Lately, however, we’re starting to see the web do what it always does: provide tools that attempt to dis-intermediate an economic relationship and let people completely handle things themselves. Self-diagnosis is evolving into self-treatment. Major law firms have started posting standardized contracts on their websites for free. Capography, a really cool new tool, lets entrepreneurs manage their own cap tables and even run a limited number of waterfall analyses to see how funds would flow in an exit. Docracy has emerged as an incredible source for hundreds of free contract forms for a wide variety of contexts, and they even let you execute the contract from the comfort of your own home, without ever having to go through the hassle or expense of talking with an actual lawyer (sound familiar)? The much greater danger with these kinds of tools, much like with LunaDoc, is the issue of permanence. Education is flexible and easily correctable, but treatments are forever. Or perhaps better said, contractual and transactional mistakes are often extremely expensive to fix, if they’re fixable at all. While everyone knows how much of a fan I am of standardization, automation, and any tool (toy) that allows attorneys to avoid repetitive, boring tasks, the fact of the matter is that tech startups are not coffee shops, and startup contracts are not wills. As I’ve mentioned before, startup law is a multi-specialty, highly contextual sport. There are countless tax, employment law, securities law, and other state law issues that might come into play in your particular context, some of which need to be handled in the contract, and others that are completely separate from it. 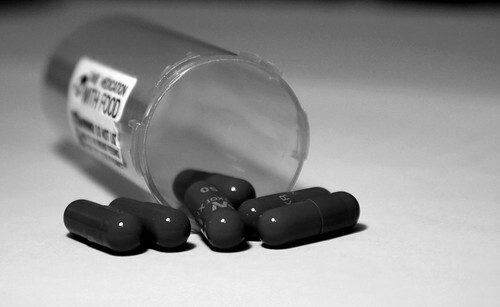 Signing the wrong contract, or taking the wrong legal action, isn’t that different from taking the wrong pill. The side effects may be serious, or even lethal. But, wait, aren’t law firms themselves putting up these standardized forms? Read the terms of service, my friend. Zero liability. Their skin isn’t in the game. Just yours. Those are marketing tools. There’s a slightly different approach that a few companies are taking to allow entrepreneurs to do some things themselves and minimize their legal spend, while ensuring that a professional who understands the context is guiding the process. Brightleaf has a brilliant concept called a Leaflet. After speaking with a client and understanding what they’re trying to do, an attorney can easily turn a form into a self-help, automated tool. For example, you can turn the Company’s board-approved Option Grant form into a leaflet that allows the client to input the name, date, etc., and auto-generate option grant forms without bothering his law firm. Of course, every time you generate a form, the attorney sees it. Self-help, but with an experienced and invested professional making sure you don’t blow something up. VCExpert’s Private Company Analysis Tool (PCAT) allows a law firm to input and update a Company’s capitalization info, and a client can then run any number of reports using that data without having to consult the attorney. Again, someone’s there making sure the inputs are correct and that things don’t go awry, but the client doesn’t have to ask his attorney to generate a different report (often hours of work) every time he wants to see the vesting status of options or the funds flow of a potential exit. Empowering clients and unlocking information from artificial silos is awesome. Pretending that technology can completely replace professional judgment and contextual understanding when it simply can’t… not so much. Yes, I understand that self-help tools are really about the under/un-served. Of course, downloading a free contract form drafted by someone who at least knew what they were doing is light-years better than issuing stock with a 3-line contract written on a napkin. And that’s why I’m not going to say that un-guided self-help tools aren’t a benefit to the startup ecosystem. Much like how cheap, mass-market contract websites have made wills and basic corporate forms available to people who would never have contacted an attorney to begin with, I get that there’s an underserved market here that needs these tools. Just keep in mind that how much effort and expense you’re willing to incur in protecting your startup is, in many ways, a reflection of how seriously you take its prospects. If you’re sitting on a dud, who cares if your employment forms aren’t enforceable in your state, or if you didn’t fill out your stock issuance forms correctly? But if you think it’s a home run (and why would you waste your time on something that you think isn’t? )… well, you get the idea. Investors will too. ← Why experienced entrepreneurs hire better lawyers.